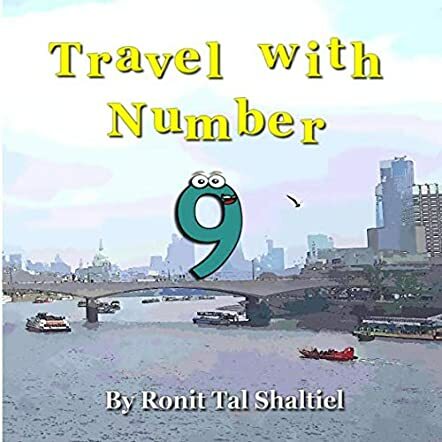 Travel with Number 9: England, United Kingdom: The Adventures of the Numbers by Ronit Tal Shaltiel takes young readers to England with Number 9, who goes on a trip with his friends 1, 2, 3, 4, 5, 6, 7, and 8. He likes England and decides to stay, learn the local nursery rhymes, and explore the place. Number 9 meets some cats when he goes to Buckingham Palace and one of the cats teaches him a nursery rhyme. The cat tells him to go to the city center if he wants to hear more. Number 9 takes a double-decker bus and he meets 9 kids in the bus. One of the kids recites 'London Bridge is falling down' and tells him to go to Kew Gardens if he wants to hear more nursery rhymes. Number 9 has a lot of fun traveling around England, and by the time he finishes touring the place he is eager to go back home and be with his friends. This entire series is educational, fun, interactive, and informative and will stimulate the thinking process of children so that they begin to enjoy learning math and social studies. This book will also encourage children to travel to new places and learn more about the culture and history of those places. It is a good collection to have at home and in school libraries because it is not only about traveling but also combines math and social studies to make learning a fun activity. The images and illustrations take young readers right into the places where Number 9 visits, making it tangible for them. Unlike the other books in the series, Number 9 also introduces readers to nursery rhymes in an entertaining way.